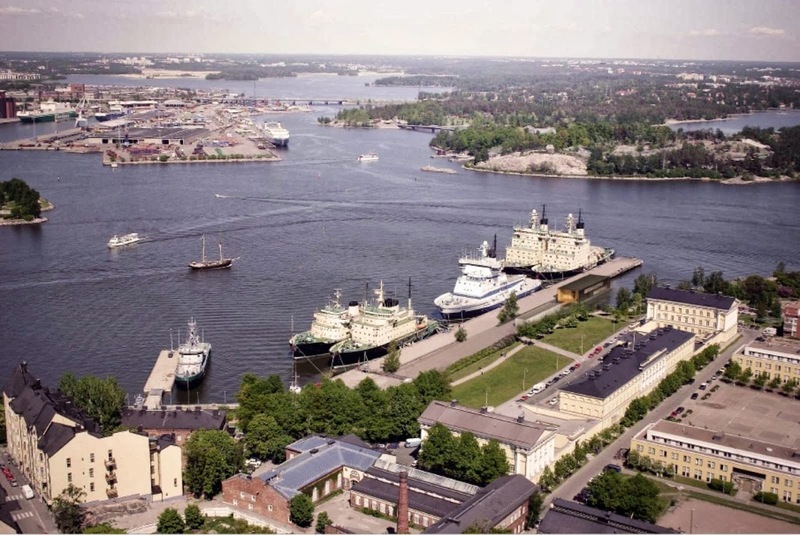 Docked icebreakers are an essential part of the Katajanokka-shore environment, the island of Helsinki base for the Finnish icebreaker fleet. 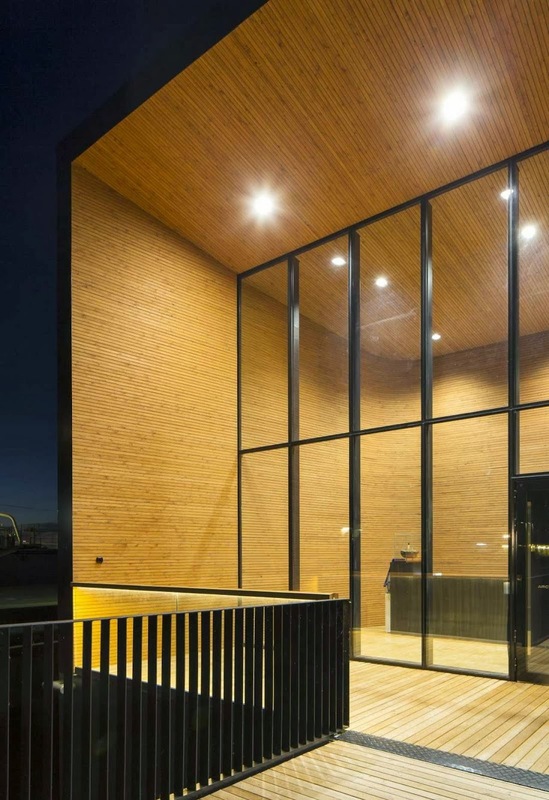 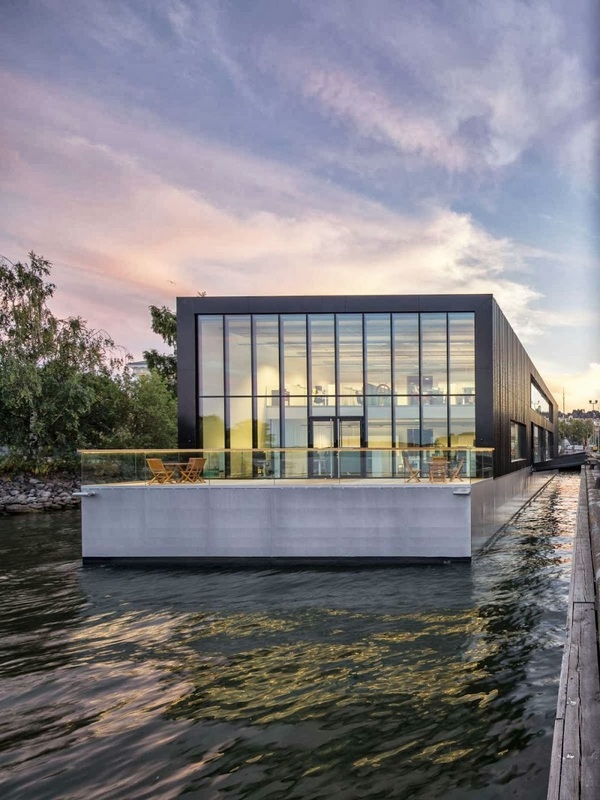 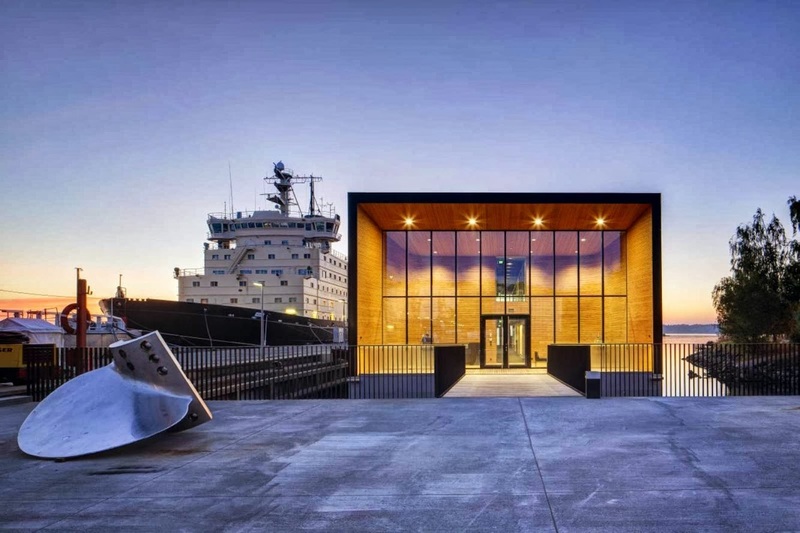 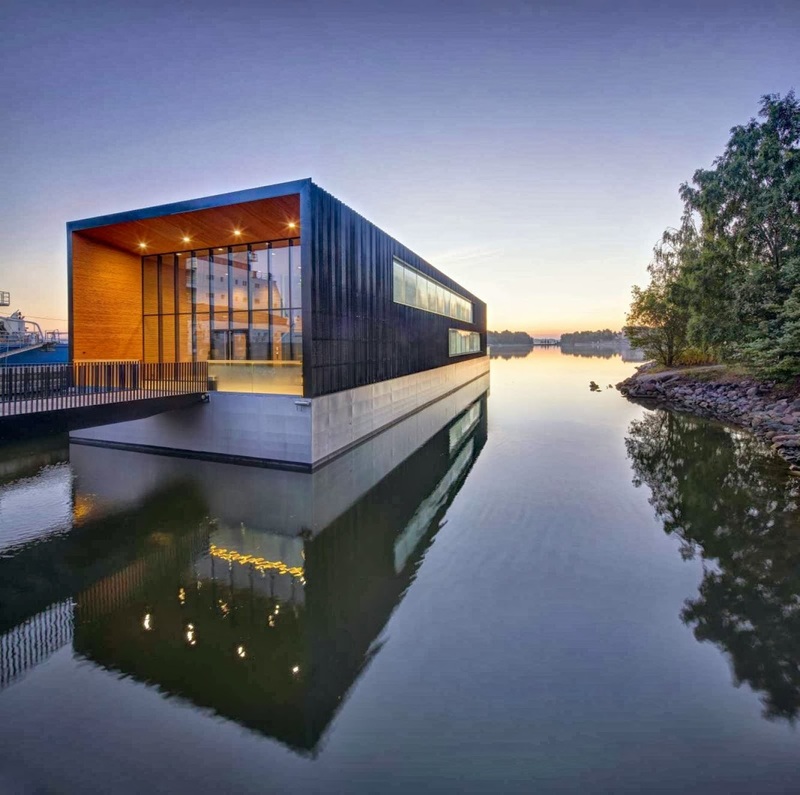 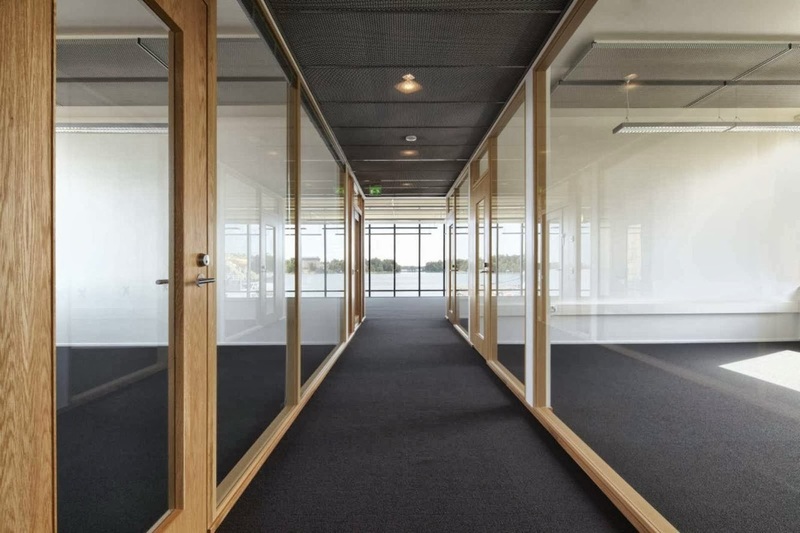 The new headquarters of Arctia Shipping Ltd., a company that carries over 100 years of icebreaking and ice management know-how, is placed in a floating office building. 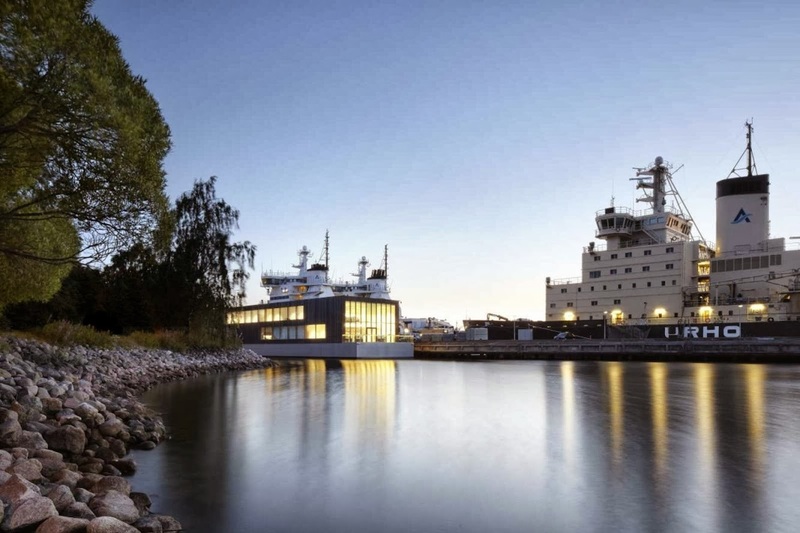 The office is docked in front of the listed main building of the Finnish Ministry of Foreign Affairs, which was originally designed by the German-born architect Carl Ludvig Engel. 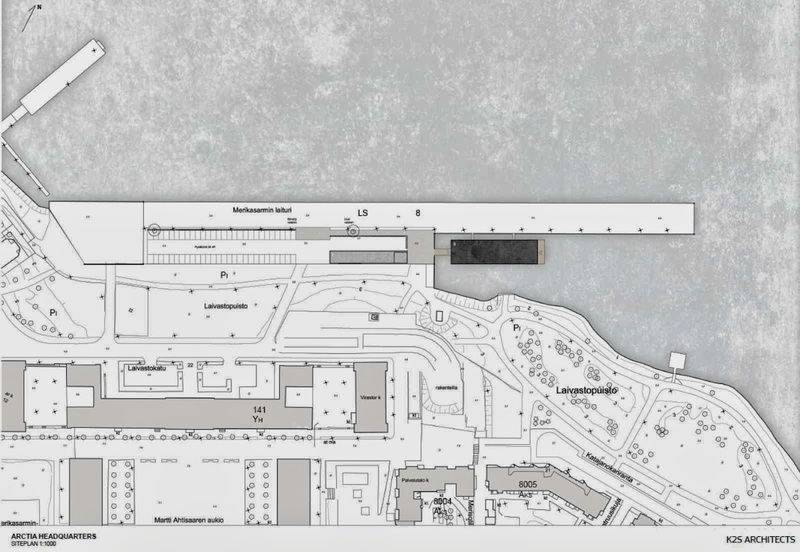 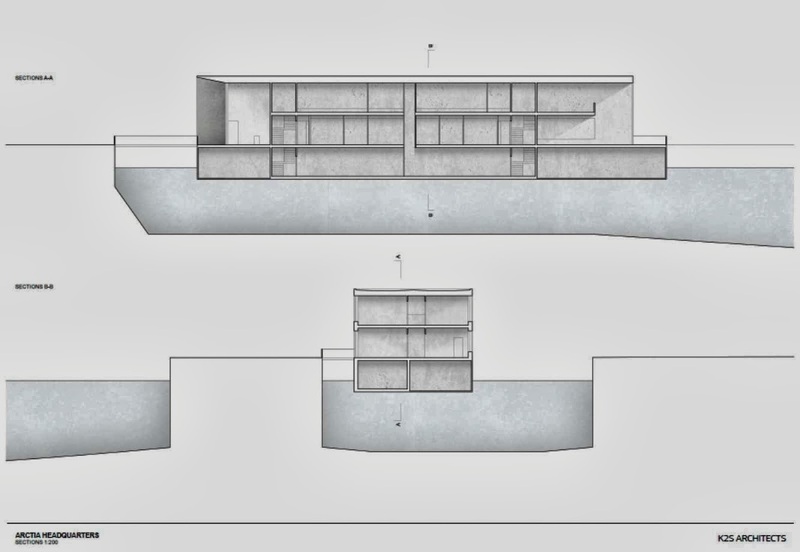 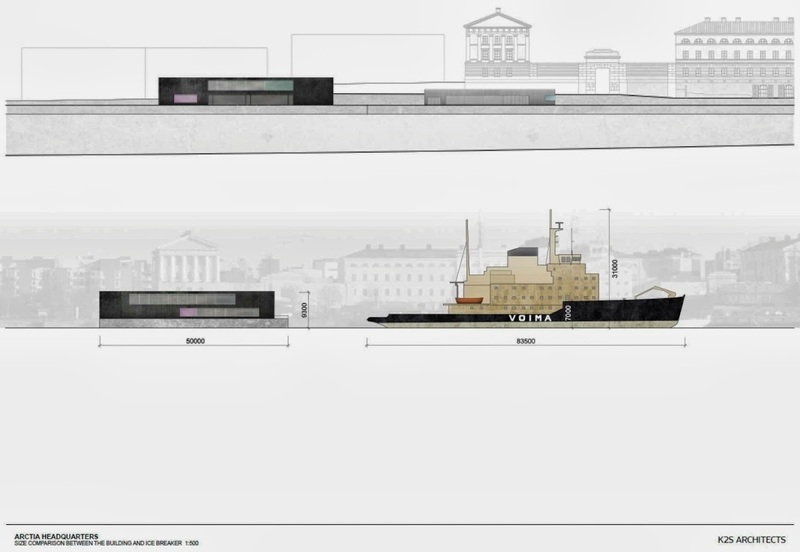 The horizontal massing and customized black steel facades relate to the black hulls of the adjacent ice breaker ships. 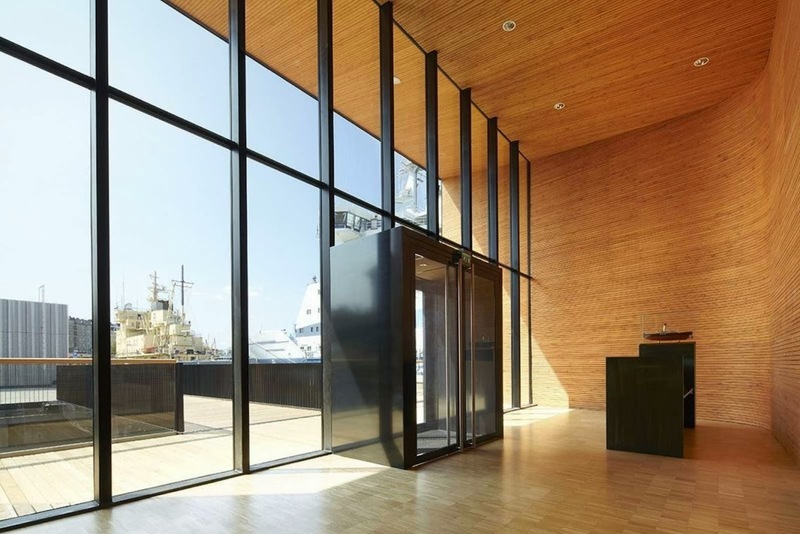 the headquarters building can be seen as one the vessels. 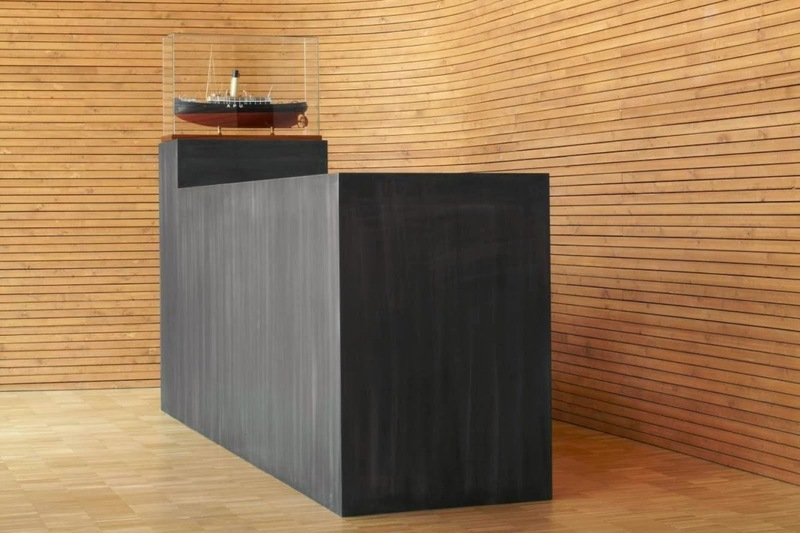 The interior of the black “steel ship” is constructed of lacquered wood which related to earlier ship building traditions. 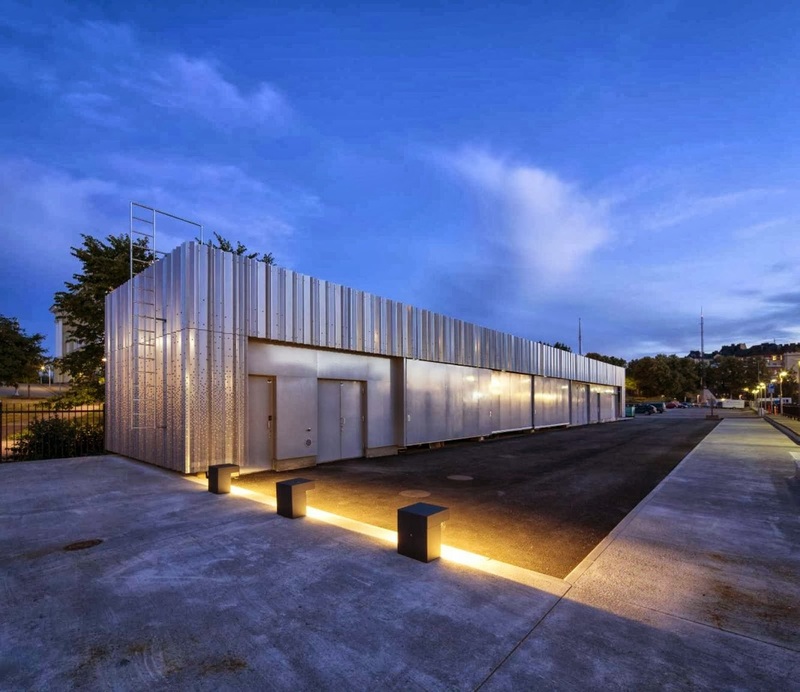 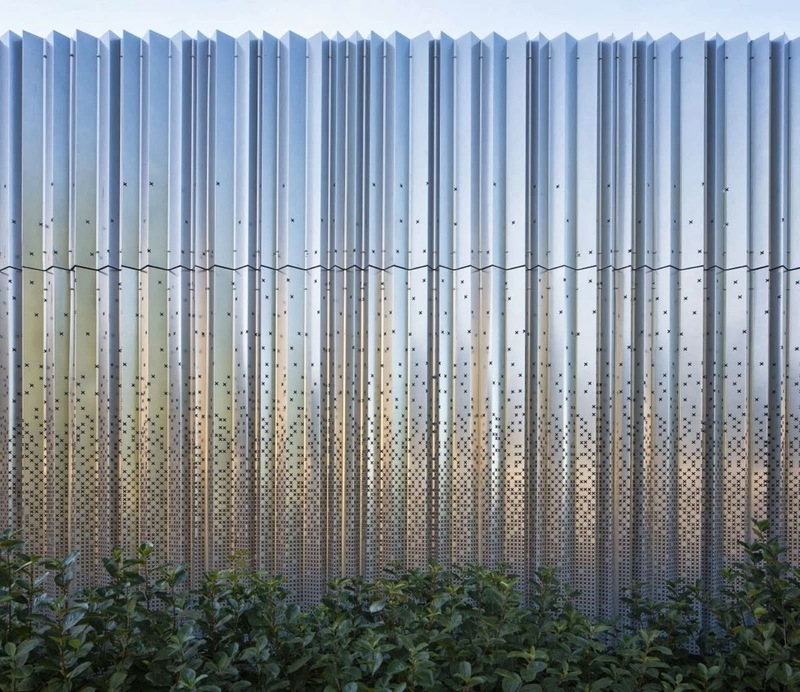 the facades of the building are made of customized wave pattern steel profile. 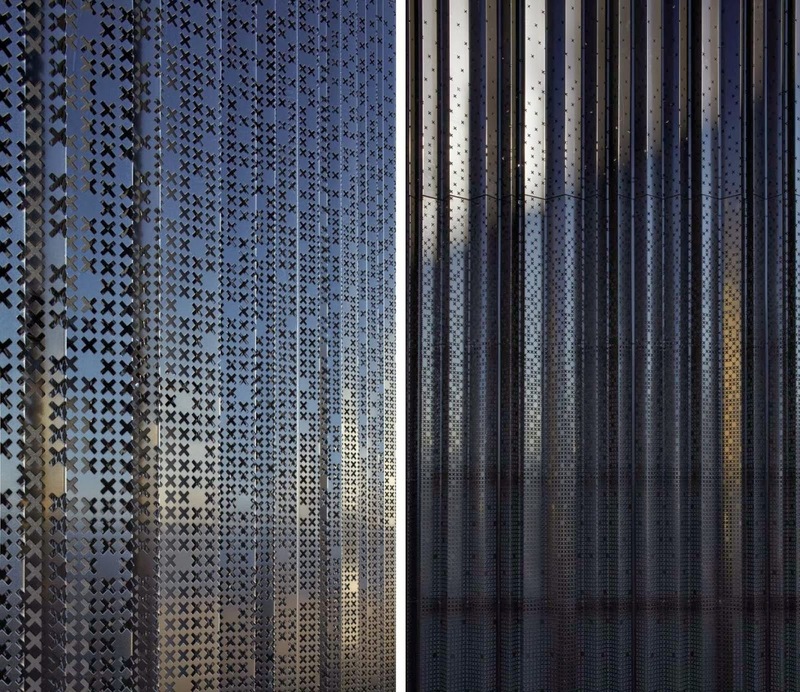 There is a gradient and abstract pattern perforated on the steel profiles which relates to ice crystals and sailor textile patterns. 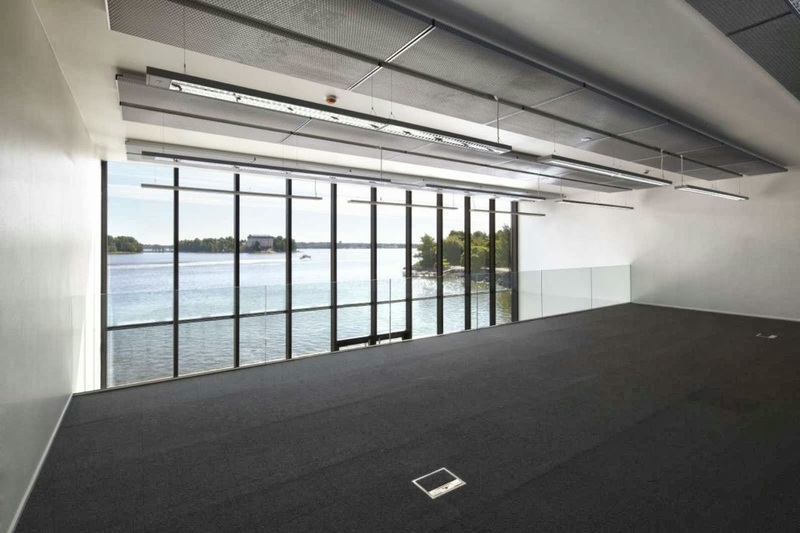 There is a water ballast system which will maintain the floor level of the office building in the same level as the dock. 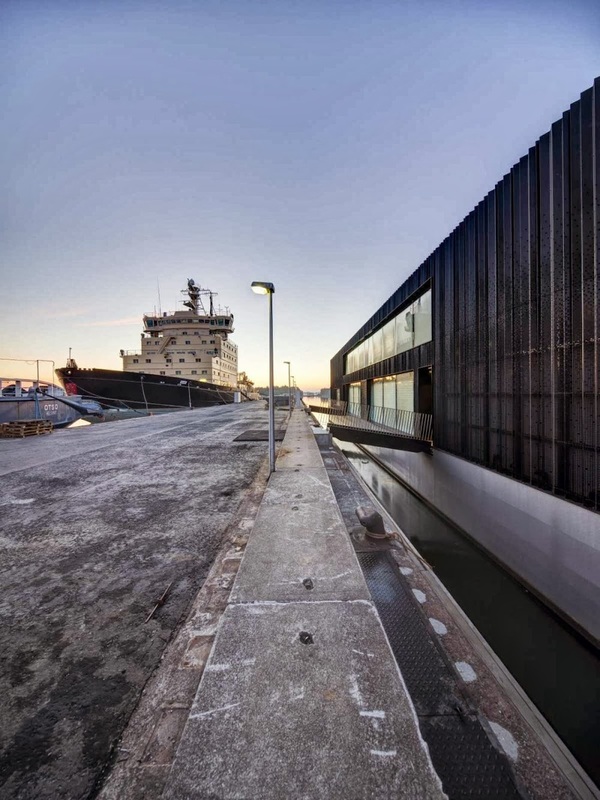 The floating office building was towed to its' final location in Merikasarmi pier from Arctech Stx shipyards in Hernesaari.